We Buy Houses in Birmingham, AL!!!! CASH!!!! Any Condition, Price Range, or Area in and around Birmingham, AL! If you need to sell your house fast in Birmingham and the surrounding areas including Shelby County, we’d like to make you a fair all-cash offer on your house or property. We’ll even GUARANTEE that offer and have a check in your hand in as little as 14 days. Let us take over the burden of your unwanted house. 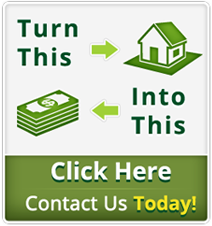 Partners Direct Invest, LLC – We pay CASH for houses! House Needs Work And I Can’t Afford To Cover The Costs? Don’t worry, we buy houses in Birmingham in any condition, with no contingencies. You make NO repairs nor will we require you too. We also have helped many local homeowners through out Birmingham including but not limited to, Center Point, Roebuck, Huffman, Tarrant, Midfield, Bessemer, Mt Brook, Vestavia, Homewood get out home problem homes. If you are in a similar situation or face your own unique set of problems, give us a call at 205-841-9757 and speak to one of our experts. We can help you get your life back. We will handle all of the paperwork, make all the arrangements and close within a few days if necessary. You’ll get a quick house sale with no hassles, so you can put your worries behind you. The goal of our company is to facilitate a fast and hassle-free sale of your Birmingham area house. How do we do this? We buy your property ourselves! Our experience and reliability help ensure an effortless process. We offer first rate convenience, privacy, and flexibility, with personal touch. We are your solution for all your real estate needs. Out of Time or Out Of Options? Selling your home through traditional real estate channels could take months or even years – if it sells at all? Concerned about loan approvals falling through, banks requiring costly repairs for mortgage authorization, and home buyers with a long list of unreasonable demands? Your worries are valid. Can’t Sell Your House and Running Out of Time? Contact Us Today! If you have tried to sell your home before, you must be aware of how lengthy and expensive the process can be. Working with an agent is the most common route people take when selling their home. And, if you don’t have much equity in the house, your options to sell quickly are even more limited. You may have to come to the closing table with a large sum due. * You have to pay closing costs, commissions to both agents, service charges, etc. It can be costly to do list your home with an agent when you look at things closer. We acquire houses directly from homeowners. When we acquire houses in Birmingham, AL, we do not charge a commission or fees when closing. If you are selling your home, why shouldn’t you get to keep that money? So Here’s A Solution… Sell your property to us! We buy real estate property from people in situations just like yours in almost any area, condition or price range in the Birmingham area. We will work with you on your terms. If you need to close quickly, no problem, we can get you a check in as little as seven days. Your house is in terrible shape and can’t (or just don’t want) to fix it up, you don’t have to. We will deal with it. We buy houses in and around Birmingham with cash and don’t have to rely on traditional bank financing. Save yourself the stress and uncertainty of working with an agent. Our goal is to help make your life easier and rid you of the property that has been stressing you out, by paying a fair, honest price in as little as 14 days..